What is the Cost of a Used Boeing 777? When Delta Airlines CEO Richard Anderson said a few weeks back that his airline may be interested in acquiring used rather than new airplanes, shares of both Boeing and Airbus lost 4% of their value. The striking part of Anderson’s comment was a 10-year old 777 could be purchased for $10 million, compared with a new 777-200ER which carries a list price of $277.3 million and likely purchase price of about $194 million, assuming a 30% discount. The day Anderson made his comments, my source found an eight-year old 777-200ER on offer for $68 million, a far cry from $10 million. In a presentation last year, Ascend Advisory, a division of Flightglobal and leading appraiser of used aircraft, put a value of about $65 million on a seven-year old 777-300ER (a larger version of the 200ER with longer range).The list price for a new 777-300ER is $330 million(2014 price). It trails only a 747-8 as the most expensive plane Boeing builds and sells today. Where is the truth? Probably somewhere between $10 million and $60 million for a used 777-200ER. The low-end is probably too low, just as the high-end is J P Morgan’s thinks a 10-year-old 777 is more accurately priced at around $43 million. Now let us come to the crux of this matter. It is worth to note that Boeing and Delta have an uneasy relationship. The two companies have been at loggerheads over the U.S. Export Import Bank (Boeing in favor, Delta against) and Delta buys a lot of Airbus planes, recently ordering 50 new A330s and A350s, and I am sure they got them at a very nice price and financing. 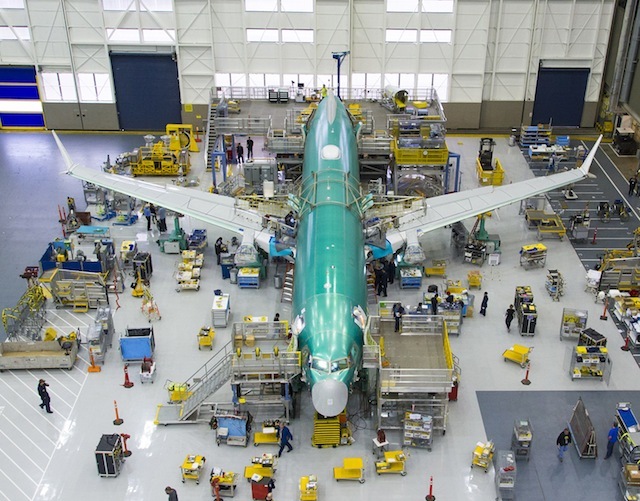 Boeing has completed the power-on milestone for the first 737 Max 8 as the re-engined and updated single-aisle aircraft is pieced together on a new assembly line in Renton, Washington. The power-on milestone activated a modernized cockpit featuring four 787-style multi-function displays supplied by Rockwell Collins. The 737 Max electrical system was adapted to support the improved cockpit systems, as well as the addition of electronically controlled spoilers. Boeing plans to roll the first 737 Max 8 powered by CFM International Leap-1B engines off the Renton assembly line by the end of the year, with first flight scheduled for early next year. A photo of the first aircraft on the line reveals much progress since the first 737 Max fuselage arrived in Renton in August. The aircraft is installed in the first position of a newly created, first assembly line dedicated for 737 Max flight test aircraft. The first 737 Max 8 is shown in the picture with wings mated to the fuselage. A tail cone is visible in the picture, but not installed. (The writer has physically seen the aircraft on the line.) (The horizontal stabilizer has been painted but not installed yet). 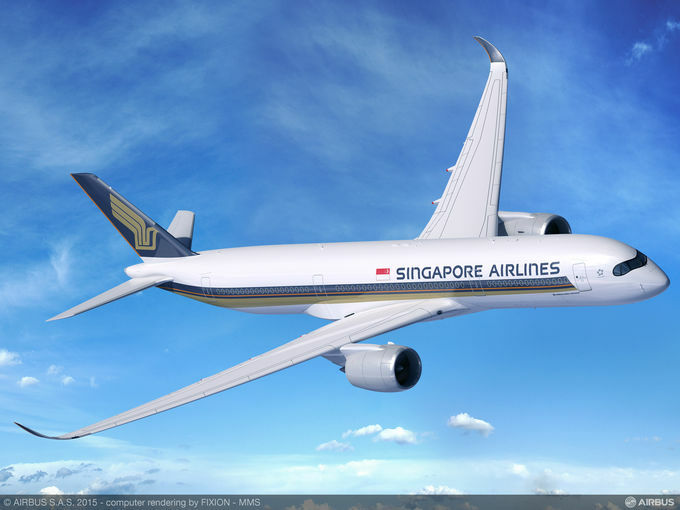 Singapore Airlines SIA) has selected Airbus’ newly launched Ultra-Long Range version of the A350-900 for non-stop flights to the US. Under an amendment to the carrier’s existing order for 63 A350-900s, seven of the aircraft will now be delivered with an Ultra-Long Range capability for flights of up to 19 hours. In addition, the carrier has placed an additional order for four A350-900s, taking its total firm orders for the A350 XWB Family to 67. Optimized for non-stop flights to the US, the aircraft, designated A350-900ULR (Ultra-Long Range),will include a modified fuel system to increase the fuel carrying capacity, an increase in Maximum Take-Off Weight, plus aerodynamic improvements, enabling service to the US West Coast, as well as to New York. The all-new A350 XWB entered commercial service earlier this year. To date, Airbus has recorded a total of 783 firm orders for the A350-XWB from 41 customers worldwide. The A350 -900ULR incorporates a number of necessary changes over the standard A350-900.These include higher capacity fuel system within the existing fuel tanks, increasing fuel capacity from 141,000 liters to 165,000 liters. The A350-900ULR has an MTOW of 280 tons. The extended range capability is achieved without installation of additional fuel tanks and the aircraft can be reconfigured easily to the standard A350-900 long haul specification, according to Airbus. 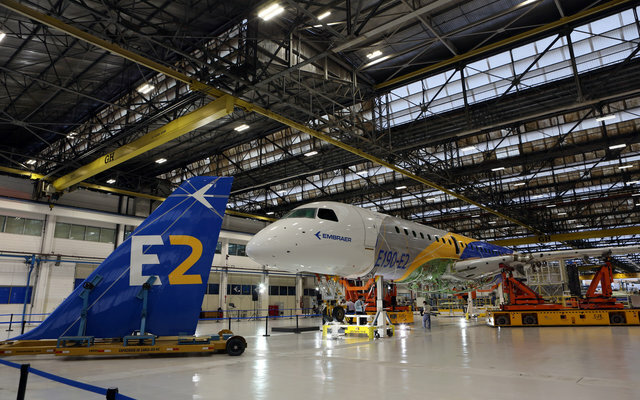 Embraer has released pictures of the first prototype of its E190-E2, which is in final assembly at the manufacturer’s headquarters in Sao Jose dos Campos, Brazil. The aircraft, bearing the registration PR-ZEY, is seen resting on struts, with its fuselage join and wing-to-body completed. Painted in Embraer’s blue, yellow and grey livery, the aircraft is without its Pratt & Whitney PW1900g geared turbofan engines. The horizontal stabilizer is also yet to be attached. 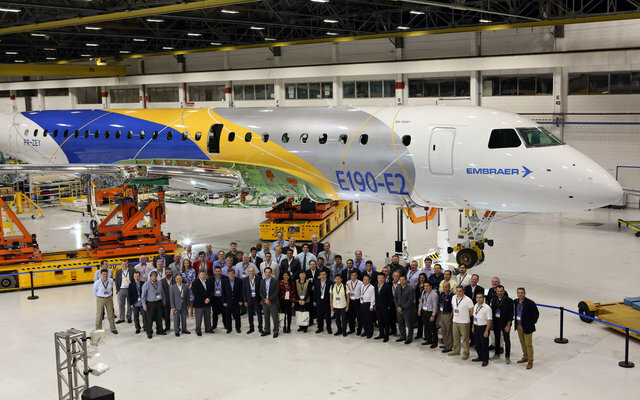 Embraer was showing the aircraft to more than 50 airlines and leasing companies, as well as 40 suppliers and trading partners. 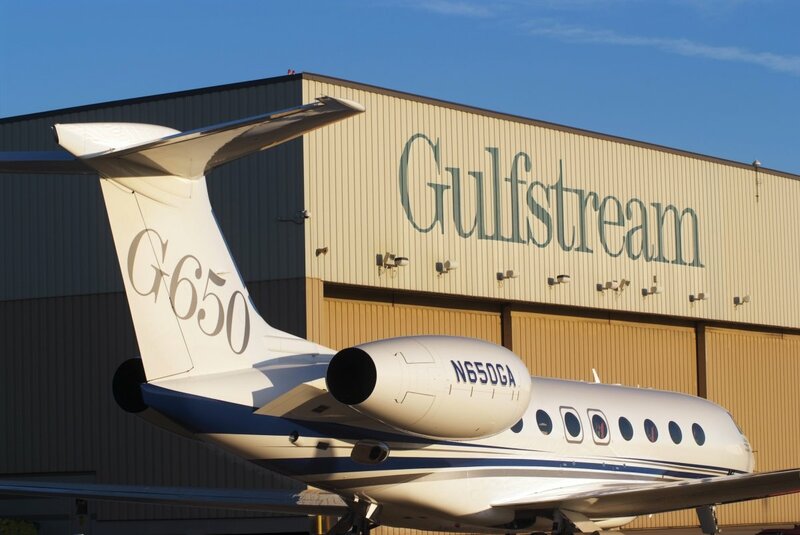 The $65 million Gulfstream G650 is the world’s Top Private Jet. The G650 is the biggest, fastest, and overall best private jet money can buy. It also takes a lot of patience to get your hands on one. If you want one, you will have to wait years for delivery after you place an order. The plane can fly faster and higher than any commercial jet. 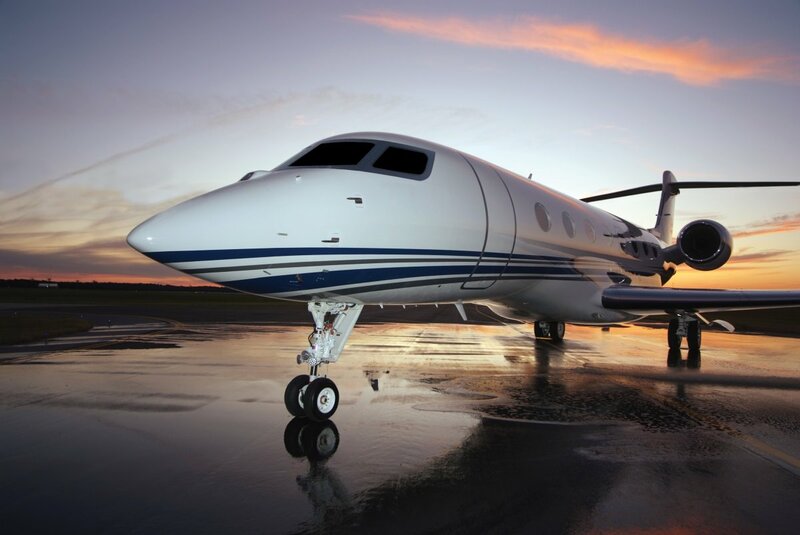 The G650 is in a class of its own. The G650 is the largest purpose-built private jet on the market, and has the tallest, longest, and widest cabin in its class. At its maximum takeoff weight, it can climb to 41,000 feet (above bad weather and crowded commercial jet routes) in just 22 minutes. Its range is more than 8,000 miles. Powered with two Rolls-Royce engines, the plane has a top speed of Mach .925 – nearly the speed of sound, and much faster than commercial jets. Big windows in the cockpit allow the pilots to see the tips of the plane’s wings, helping for navigating on the ground. A camera under the plane’s nose helps them see what’s below the plane. Ceramic matrix composites destined for use on General Electric GE90X engine have passed the first phase of endurance testing with no red flags, despite a surprise exposure in an unplanned engine surge. Boeing expects the 777-9X to enter service in 2020 with two GE90X engines offering 10% lower specific fuel consumption than the GE90-115B engines that power the 777-300ER. Part of that fuel efficiency gain is achieved by raising pressure levels inside the engines, which increases internal temperatures beyond the practical reach of metal alloys. So GE is relying on CMC’s in several key engine components, including the inner and outer combusted liners, the shrouds around the stage 1 high-pressure turbine and the nozzles for the stage 1 and stage 2 HPT. CMCs are lighter than metal and can survive in hotter temperatures, but have been rarely used because of concerns about durability, thermal shock and the cost of production. GE plans to start building the first GE9X core for testing next year, so the engine maker believed it was essential to verify that the CMC materials work as promised. I will be writing about this subject in my upcoming reports. Dubai has grown rapidly into the biggest international airline in terms of revenue passenger miles (or revenue passenger kilometers), Dubai-based Emirates has relied primarily on the Boeing 777, and secondarily on the Airbus A380. It is the world’s biggest operator of both. Of the 777s, 107 are 777-300ERs seating 354 to 427 passengers. As of September 3rd,Emirates’ 777s had flown 859,053 flights. The carrier also has 65 Airbus A380s. Additionally, it has orders for 196 Boeing 777s that include the 777-9X and 73 A380s.The Emirates strategy has been to establish a global hub in the Middle East to connect passengers from throughout the world, particularly passengers from Asia and the Middle East to Europe and the U.S. The strategy requires a fleet of long haul aircraft. The service Emirates offers it passengers is what draws travelers to the airline. Alaska Airlines increases overhead storage nearly 50 percent by featuring Boeing new space bins. Alaska will be the launch customer for these bins. 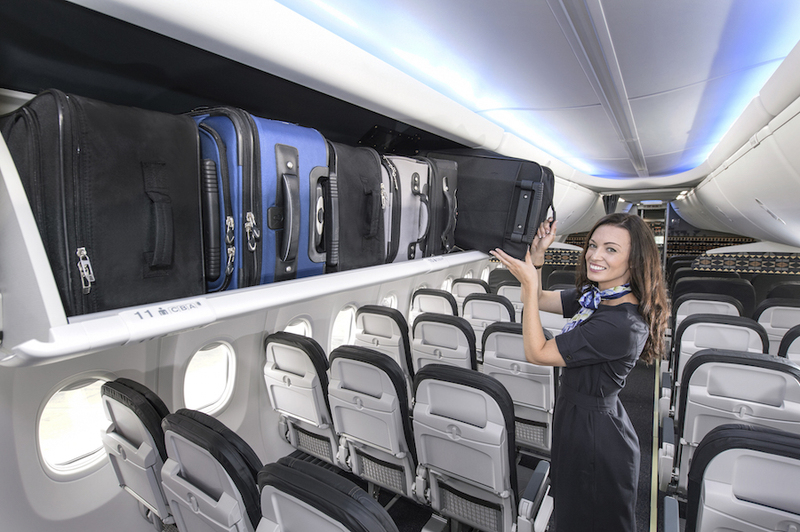 Each Space Bin stores six bags, two more than the current pivot bins installed on Next Generation 737s with the Boeing Sky Interior. Alaska will take delivery of 34 Next-Generation 737s and one 737 MAX in the next two years and will also begin retrofitting 34 aircraft with the Boeing Sky Interior, primarily 737-900ERs (Extended Range),in 2016. When open, the bottom edge of a Space Bin hangs about 2 inches (5 centimeters) lower, so travelers can lift carry-on bags more easily. The deeper bins allow more bags to be stowed and increase visibility into the back of the bins. Alaska Airlines also reports that the Space Bins, designed without a flight attendant bin assist mechanism, are easier to close. Alaska Airlines is installing Space Bins on all 737-900ERS and 737 MAX aircraft currently on order and by 2017 will have 69 aircraft, or 46 percent of its passenger fleet outfitted with Space Bins. Air Europa has unveiled a new color scheme for its fleet ahead of delivery on its own 787s. Norwegian Air orders 19 787 Dreamliners for delivery between 2017 and 2020. It is the largest single order of 787s in Europe. EVA Air Taiwanese carrier, has signed an agreement with BOC Aviation for two A330-300 aircraft on long- term lease. 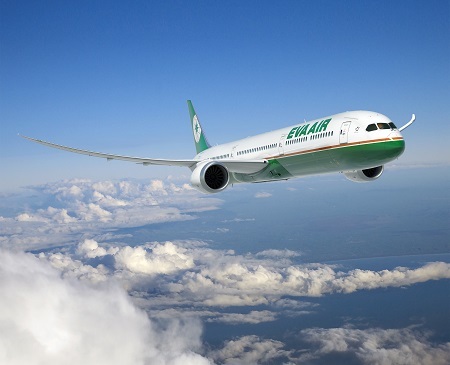 EVA Air also announced its intent to purchase up to 24 787-10 aircraft and two additional 777-300ERs, which is valued at more than $8 billion at current list prices. 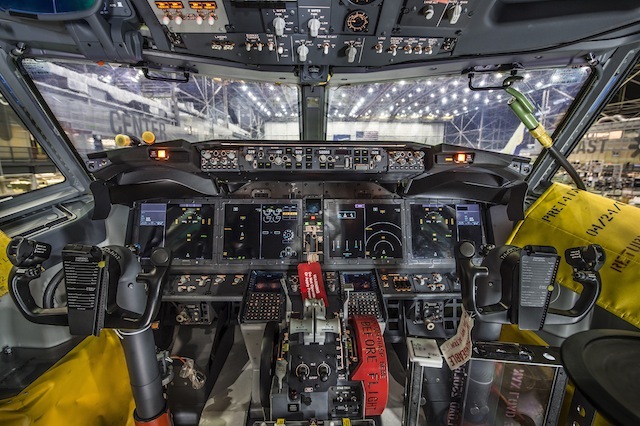 United Airlines announced a new services contract program with Boeing that is expected to reduce costs and increase efficiency for the airline by providing high-value, mission-critical parts. 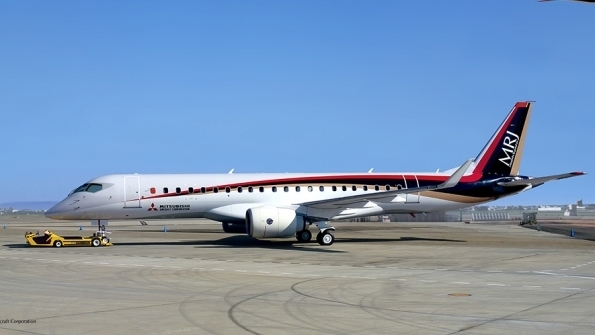 Mitsubishi Aircraft Japan’s Ministry of Land, Infrastructure, Transport and Tourism has given its approval for Mitsubishi Aircraft Corp. to conduct the first flight of the Mitsubishi Regional Jet (MRJ). 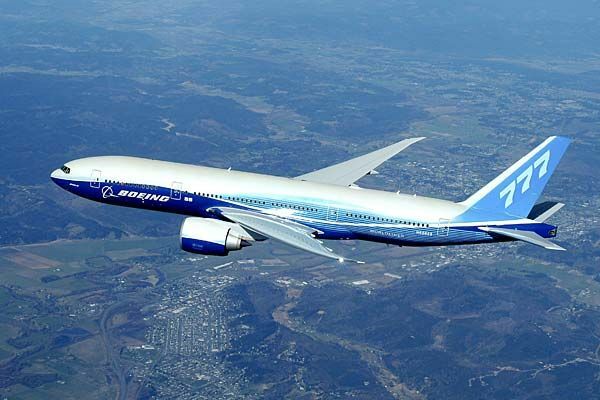 El Al Israel Airline signed a firm order for three Boeing 787s, it is finalizing a contract for another six of the type. 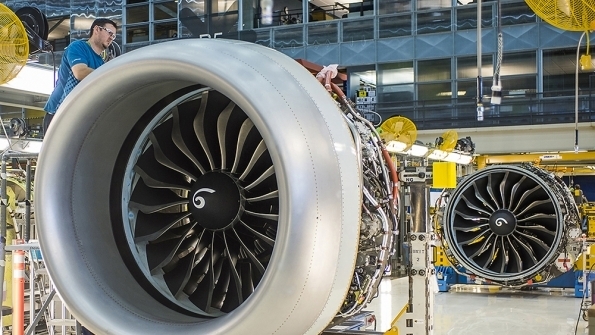 CFM International On October 29th CFM international has delivered the first Leap-1B engines to Boeing to power the 737 Max. 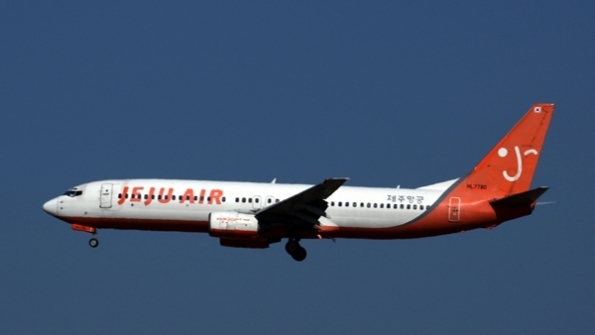 Jeju Air Korean low-cost carrier (LCC) will rebrand its operations prior to launching an initial public offering (IPO) by year-end. Volga-Dnepr airlines has delivered an 11-ton oil and gas pump right to the door of a customer in the town of Farab, Turkmenistan. The pump was transported from Maastricht Airport in the Netherlands for the airline’s customer, AgilityProjects Rotterdam. It was packed inside two wooden crates to protect it though out its journey on board one of the carrier’s Il-76TD-90VD freighters and by road on arrival in central Asia. “Agility Projects Rotterdam asked us to not only organize the necessary permits for the flight to Mary International Airport, but to also arrange the transportation of the gas pump overland in Turkmenistan to Farab, where it is used,” said Alexander Kartashov, sales executive for Volga-Dnepr. 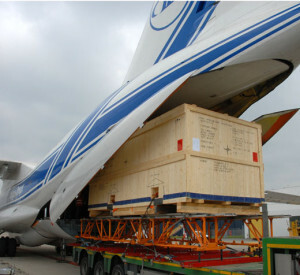 Azat Yakupov, senior engineer, dangerous cargo, at Volga- Dnepr said crews loaded the cargo using a trailer and special cradles developed by Volga-Dnepr’s engineers pull the cargo into the airplane, using the aircraft’s built-in rail system. Just months after being rejected by South Korea and weeks after first flight, Boeing’s KC-46A has been selected by Japan to supplement the nation’s KC-767 tanker fleet. The announcement came from Japanese defend minister Gen Nakatani on Friday October 23rd, and constitutes a significant win for Boeing after a tousled start to the next-generation tanker development program with the US Air Force. 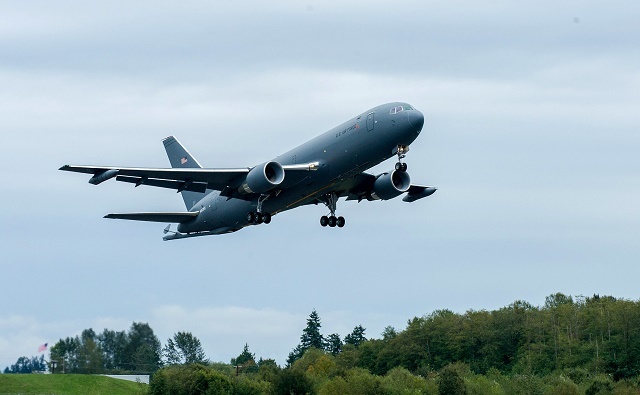 The Pegasus tanker can almost see the end of its development phase, after achieving first flight on September 25th from Paine Field In Everett, Washington,following a roughly nine-month delay. According to Boeing, KC-46 is particularly attractive to Japan as it will be capable of refueling the Japan Air Self-Defense Force’s planned fleet of Bell-Boeing MV-22 Osprey helicopters. Japan intends to procure three tankers for fielding in the 2020 time frame, at a cost of more 20.8 billion yen-about $173 million per tanker. Japan has funding for the tanker acquisition in its fiscal 2016 budget, and Boeing expects to receive a contract next year, so long as things proceed smoothly. Boeing is building four 767-2C-based tankers in support of the USAF development effort and a low rate production decision is planned for 2016. Despite delays and cost overruns, Boeing still aims to deliver 18 operational aircraft to the air force by August 2017.